Bookings are essential, if booking online use code word iventure or call (03) 5984 4211 in advance. Collection Information Bookings are essential, if booking online use code word iventure or call (03) 5984 4211 in advance. 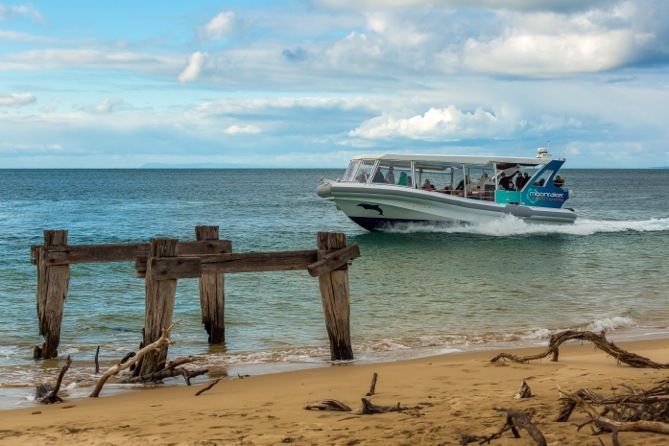 Step aboard to experience an amazing 90 minute sightseeing adventure from the beautiful coastal town of Sorrento on the Mornington Peninsula. You will have the opportunity to explore the coast and see resident Fur Seals, search for Bottlenose Dolphins, see the Sea Birds along with entry into the beautiful Port Phillip Bay. Tours include guided interpretation from qualified naturalists. Although there is undercover seating available, you will want to bring sunscreen and a hat for sun protection. Moonraker Charters operates from Sorrento Pier, from October to April on a daily basis. Please note that there is no guarantee of dolphins on every tour as they are wild animals. Seals, seabirds and other wildlife are guaranteed.